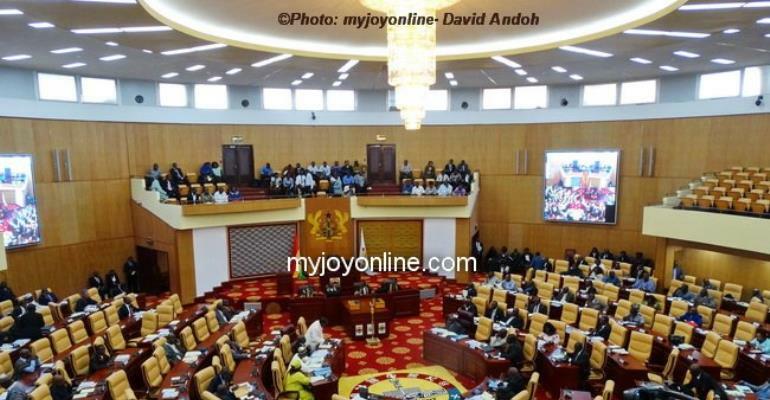 Parliament has approved a loan facility of $100,000,000 for the Ministry of Defence for the construction of a Housing Project and other rehabilitation works for the Ghana Armed Forces (GAF). Mr Collin Owusu Amankwah, Vice Chairman of Defence and Interior Committee who presented the Committee’s report stated that the objective of the project is to help provide the Ghana Armed Forces (GAF) with decent and modern accommodation to enable them to perform their core function of defending the territorial integrity of Ghana. He said the agreement and the accompanying technical specifications and designs of the project were suitable for the Ghana Armed Forces. Mr Amankwah also stated that GAF is facing acute accommodation problem for its men, women and service officers. He said the government as part of its programme, planned to ensure that the Ghana Armed Forces are adequately provided with newly constructed accommodation and to rehabilitate the existing dilapidated ones. He explained that since new Officers were being enlisted and other ranks recruited every year, there are situations where Senior Officers including Majors and Lieutenant Colonel are living in single rooms originally design for young and unmarried officers until they are reassigned bigger accommodation units. Major Derek Oduro (Rtd), Deputy Minister of Defence in his contribution explained that the loan is to build modern accommodation for the officers and men of the Ghana Armed Forces. He clarified that part of the facility is to rehabilitate the existing dilapidated accommodations and other projects. He said there were conditions where Senior Officers including Majors and Lieutenant Colonel were living in single rooms originally design for young and unmarried officers until they are reassigned bigger accommodation units. Mr Governs Kwame Agbodza, Ranking Member on Works and Housing in his contribution asserted that there was no due diligence on the part of government before the contract was signed. He, therefore, called for a value-for-money audit to ensure that the cost of the housing project was not inflated. He hinted that there was no Government of Ghana counterpart funding for the project which is to be implemented with funds from the contractor. Alhaji Mohammed Mubarak-Muntaka, Minority Chief Whip in his contribution urged the government to ensure that the contractor adheres strictly to the country’s local content laws by giving some of the projects to local subcontractors. He said most of the construction materials such as sand, stones, timber etc should be sourced domestically for the housing project. He urged the Ministry of Finance to bring a formal request for the waiver of the necessary taxes and duties to Parliament for consideration and approval in time to enable the project to be executed without delay.